One of the most special events that parents celebrate each year is the birthday of their children. While they want to give the best party for their kids, it’s also important to spend within their budget. There are ways on how to make the birthday celebration fun without spending a fortune. If you’re a parent who wants tosave money on your kid’s next birthday celebration, you’ll find these tips handy in preparing for that special day. Set a budget for the birthday party. By deciding ahead, you can set aside a specific amount each month to gradually get the money you need. This is less stressful than taking a huge amount from your paycheck at once. Furthermore, you’ll have more time to shop around for the things you need and compare to get the best deals. Party decorations add fun to the celebration. Instead of purchasing expensive items, why not use your creativity andmake your own decorations? Enlist the help of friends and family members to make it more convenient. Having difficulties deciding on what decors to make? A quick search on the Internet will give you great ideas, as well as tutorials on how to do them. There’s no need to purchase invitation cards or have them customized and printed. Electronic invites are common these days; especially that almost everyone has access to the Internet. Send the invitation via e-mail or Facebook. It’s faster, easier and it also wouldn’t cost you a penny. There are also apps that would let youdo this on your mobile device. Who ever said that your kid’s party should follow a theme? It would cost you more if everything should match your chosen theme. But if you really wish to incorporate your kid’s favorite character to make him happy, you could still do so, but only on limited items to minimize the cost. Say your kid loves “Spongenbob Squarepants”, have the character on the cake and balloons, or on the party hat maybe. The rest can be your regular party items. Hiring a catering service doesn’t come cheap. You’ll save more if you’ll prepare the foods. You don’t have to do it all by yourself. Again, you may ask help from family members and friends. Furthermore, you may use coupons in purchasing the things you need. The food doesn’t have to be fancy. Since a full meal may cost more, you may consider serving snacks instead. That being said, the time of the party should be around 2 pm to 5 pm for the snacks to be appropriate. Pizzas, ice cream, hotdogs or burgers can be served, or whatever snacks you prefer. You may want to give your guests a hint on what you’ll prepare so they’ll know what to expect. This can be included in the birthday invitation. For instance, you may add a line that says “let’s celebrate with some ice cream and pizza” so they’ll be aware that it’s what’s in store for them. Finding a party venue to rent can be time consuming, stressful and it’s also an added expense. Instead of doing the party somewhere else, why not have it at home instead? Friends and relative wouldn’t have a hard time finding the location either, since they already know your place. If your friend’s or relative’s child has the same birthday as your child, why not make it a double birthday celebration? Not only will it be double the fun, but the cost can be split into two so both of you can save money. Moreover, it will be less tiring and stressful since you’ll help each other with the preparation. Goody bags can make the kids happy, but this can also hurt your budget. The good news is that there is an alternative to make it still fun without spending lots of money. 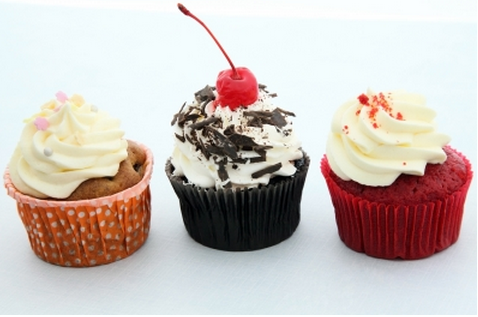 Why not prepare an activity that they can do, which will also serve as their party favors? You’re hitting two birds with one stone, as you can also forget about the games that would need prizes. Possible activities include craft making and decorating cupcakes. 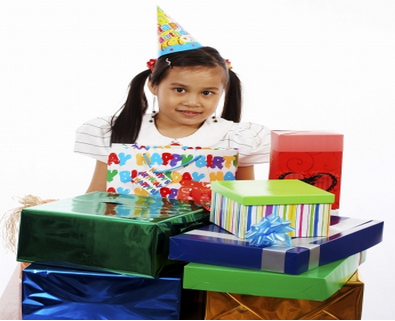 You don’t have to sacrifice your budget nor your kid’s happiness when planning for his birthday party. These tips are just some ways on how you can prepare a fun filled birthday celebration without breaking the bank.